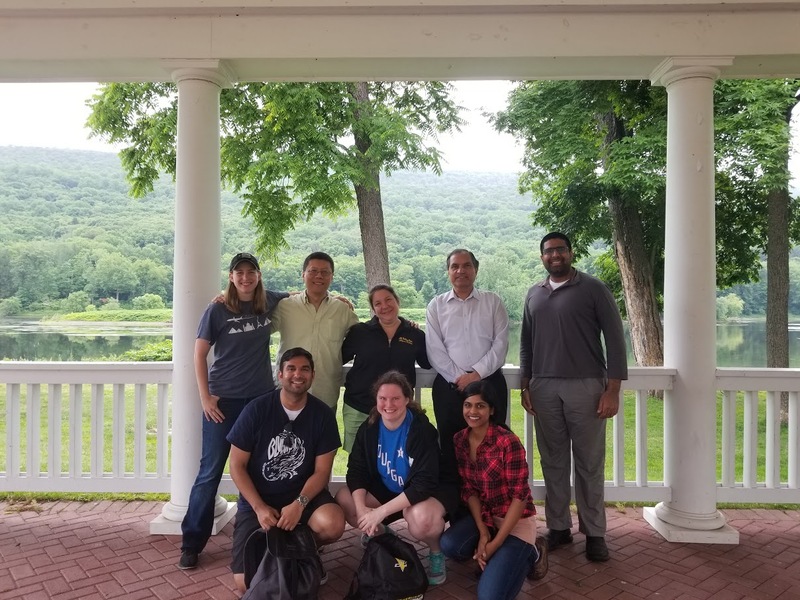 On Wednesday, June 27th, 2018, the Wright Center for Graduate Medical Education participated in Lackawanna FM Wellness Day 2018 at the Shawnee Inn and Golf Resort in Shawnee on Delaware, PA. The purpose of the program was to allow us some time outside of work to de-stress and practice wellness. 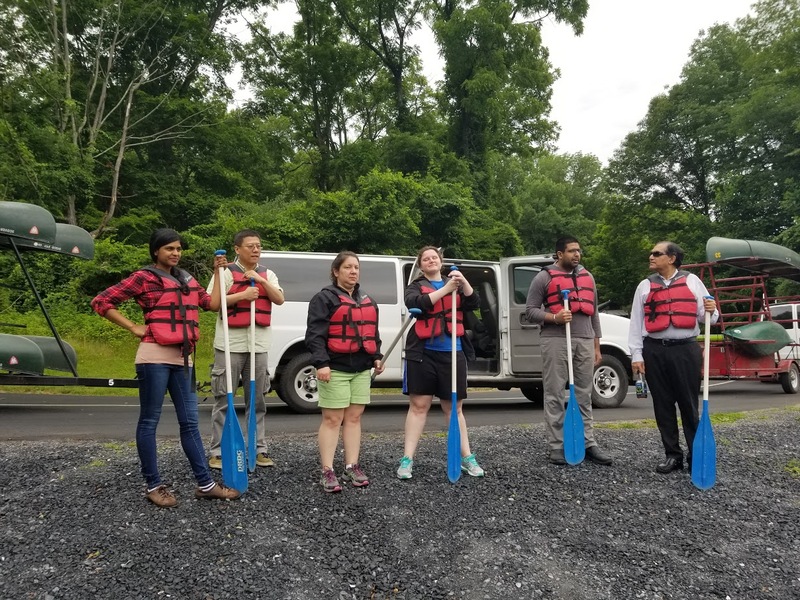 Since we're always getting on our patients to practice self-care, it seemed like a little bit of "practice what you preach" in giving us dedicated time to do some mental, physical, and social activities and take care of ourselves a little bit. The day started with a guided meditation session to help participants center themselves and de-stress. We learned how meditation can be useful during times of stress or even before going to bed to try and calm a busy mind. 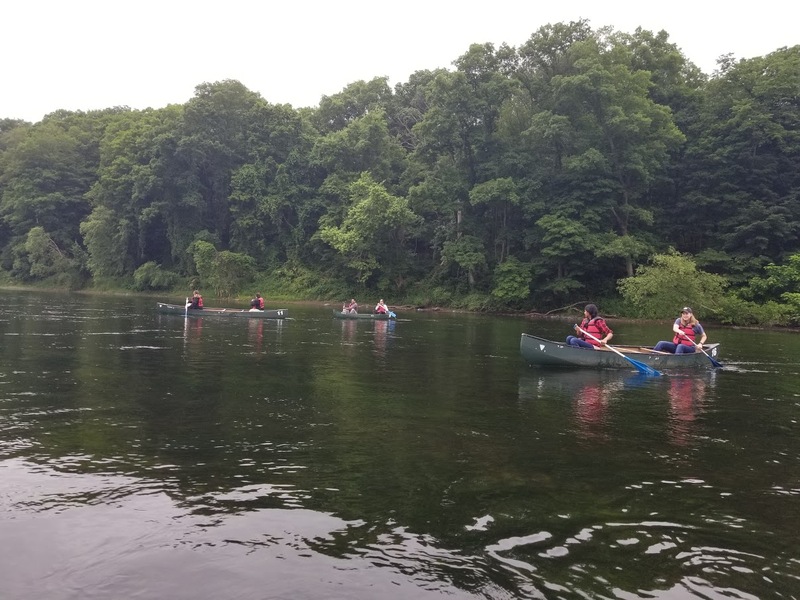 The day was gorgeous, so we got to enjoy the beauty of nature with a 3-mile river trip in the Delaware River. Afterward, the group participated in a team-building activity session led by Melissa Philip. Our day concluded with lunch at the Gem and Keystone Restaurant. Throughout the day, we also discussed the benefits of different kinds of health like making sure you have a physical outlet (regular exercise routine), emotional outlet (having someone outside of the medical field to talk to), spiritual (whatever that might mean to you), etc. Part of the discussion also included acknowledging how participants tend to feel when experiencing stress or well-being imbalance. Many described feeling exhausted, anxious and irritable during these times. It’s important to be able to notice when you are starting to feel this way, so you can allot time for taking care of yourself. There were many of the residents who aim to utilize the meditation practice to assist them in winding down for sleep. 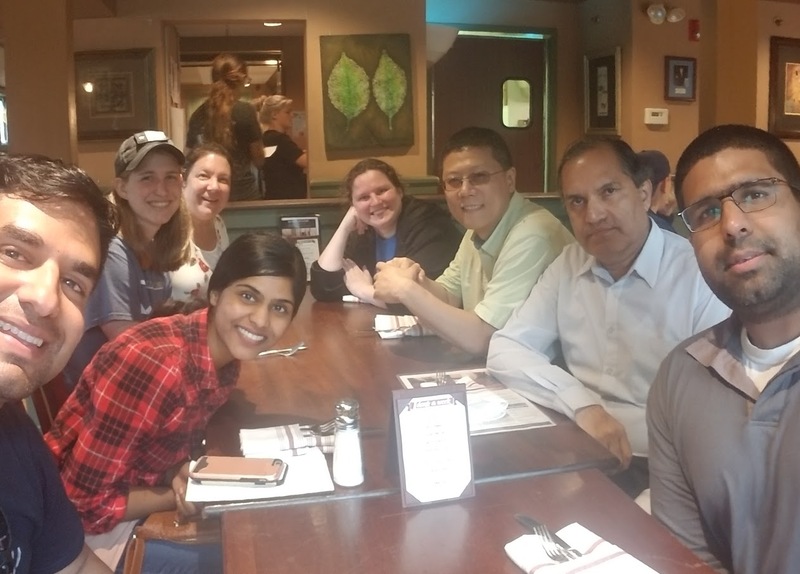 Overall, the participants noted they felt low stress levels after the event and had a high level of comfort with their fellow residents after the day’s activities. We consider the day a success in helping our residents learn more about their stress and finding healthy ways they can work on their mental, physical, and emotional health.